Serving clients in Kentucky, Ohio and West Virginia since the 1920s. 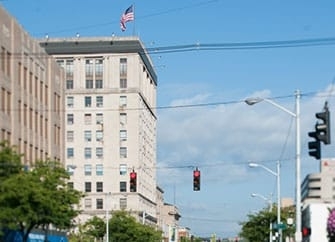 At VanAntwerp Attorneys, LLP, our lawyers have years of experience assisting Kentucky employers and employees with the resolution of labor and employment law disputes. As one of the largest and most historic law firms in the area, we provide each client with excellent legal representation. We also provide advisory consultations with employers and human resource administrators, including sexual harassment, ADA and FMLA training. We assist small, mid-sized and large employers to develop, review and rewrite their employee handbooks to maintain compliance with the constantly changing legal requirements. Due to our experience representing both employers and employees, we are extremely knowledgeable about this area of law and can accurately predict the strategies and tactics opposing counsel will employ. VanAntwerp Attorneys, LLP, has strategically partnered with organizations serving the business community including Ashland Alliance, Ashland Community and Technical College and Maysville Community and Technical College Work Force Solutions to present practical and relevant training for employers to navigate the complex legal mine field of employment laws. Some of those topics include wage and hour disputes, social media in the workplace, handling workers’ compensation claims, defending unemployment claims and communicating with employees with disabilities. Please contact our law firm by calling 606-329-2929 to schedule an appointment with an experienced labor and employment law lawyer. We are located in the Community Trust Building in downtown Ashland.